Don’t lie–we ALL love gadgets. From the obscure (but hilariously reviewed on Amazon) Hutzler 571 Banana Slicer to the latest iteration of the Apple empire. Gadgets and technology can make our lives easier, make processes faster, and even help us get healthier. Businesses are now using the popularity of wearable technology to encourage employee wellness and increase productivity and morale. According to a survey cited on Huffington Post, “82% of wearable technology users in American said it enhanced their lives in one way or another.” How so? Well, in the instance of health and wellness, tech wearers are much more aware of how much, or how little, they are moving throughout the day. We know that our sedentary lifestyles aren’t healthy and can lead to bigger health risks long term. Obesity, heart disease, high blood pressure, and Type 2 Diabetes are all side effects of this non-active lifestyle. But, these are all side effects that can be reversed with physically getting moving. Being aware of the cause of these problems helps us get motivated to work towards a solution. Fitbit, Apple Watch, Pebble, and Jawbone UP all have activity tracking devices. Many companies are offering incentives for employees who work on staying fit and healthy by using this wearable technology. 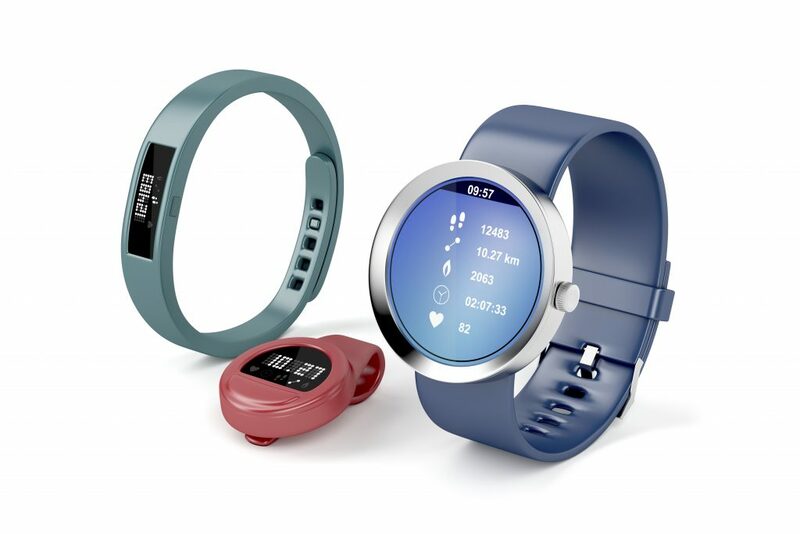 For example, BP Oil gave employees a free Fitbit in exchange for them tracking their annual steps. Those BP employees who logged 1 million steps in a year were given lower insurance premiums. These benefits for the employee are monetary but there are other pros to consider as well. The data collected with wearable technology is very accurate and can help the user when she goes to her physician for an ailment. The doctor can look at this data and it can help connect the dots with symptoms and then assist the provider with a diagnosis. So, what are the advantages to the company who creates wellness programs utilizing wearable technology? Job seekers have said that employee wellness programs like this are very attractive to them when looking for a job. Millennials are already wearing these devices and say that employers who invest in their well-being increases employee morale. Employee healthcare costs are reduced. Improved productivity including fewer disruptions from sick days. The overall health and fitness of the company can be the driving force behind introducing wearable technology in a business but the benefits are so much more than that. Morale and productivity are intangible benefits but very important ones to consider. All in all, wearable technology is a great incentive for adopting healthy lifestyles and that benefits everyone—employee AND employer. © 2019 Strategic Services Group INC. All Rights Reserved.